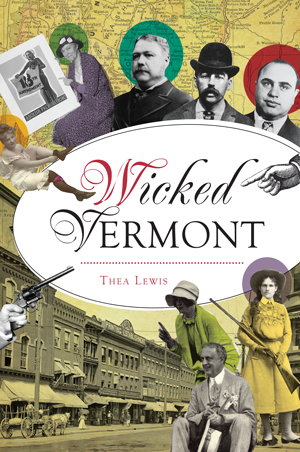 Author and historian Thea Lewis is a Vermont native and the creator of Queen City Ghostwalk, the walking tour chosen “Best Scary Stroll” by Yankee magazine. Known as Vermont’s Queen of Halloween, she’s been scaring up history since 2002 with her haunted tours, special events and books for adults and children. Thea’s other titles with The History Press include Haunted Burlington: Spirits of Vermont’s Queen City, Ghosts and Legends of Lake Champlain and Haunted Inns and Ghostly Getaways of Vermont.